A Coat of Arms print provides a full colour rendition of the earliest Coat of Arms associated with the bearer of that surname. Coats of arms are drawn according to heraldic standards based on published blazons.Generally include the oldest published coat of arms once associated with each surname. Note, the term ’Family Crest’ is often used interchangeably with ’Coat of Arms’. 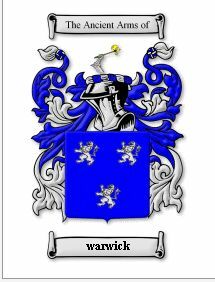 Technically that is not correct, as a Family ’Crest’ is a symbol that sits upon the Helm within a Coat of Arms, and was used to distinguish between Arms of members of the same family. Here I offer as ’Family Crests’ various image files that are based on our Coat of Arms image.